Diastolic blood pressure is the pressure in your vessels between your heartbeats. This is basically what your heartbeat is when you are resting. If you are looking at the blood pressure reading, it will be the number on the body. A high diastolic blood pressure reading is anything above 90. Meanwhile, a low diastolic blood pressure reading is anything below 60. If you have a high diastolic blood pressure and do not treat it, it increases your chances of having a stroke or a heart attack. There are ways to manage your blood pressure though. You could lose weight, change your diet or take medication to manage your condition. 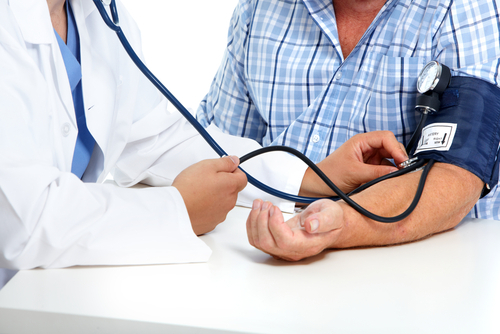 What Does It Mean to Have a High Diastolic Blood Pressure? 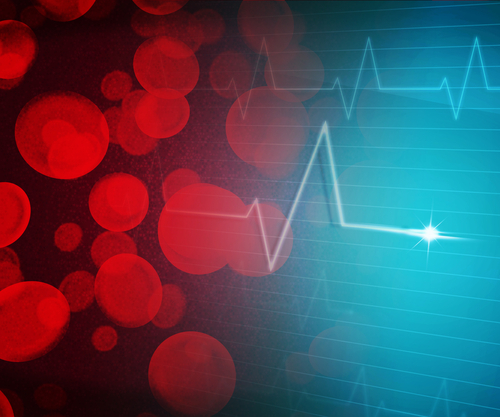 When your diastolic blood pressure is above 90, it means that your blood vessels have become hardened. They may be scarred and less elastic. This means that they are more likely to become blocked or ruptured. If this happens, you could suffer from organ damage and organ failure. Because of this, it is important to have your blood pressure checked regularly. By managing your blood pressure, you can reduce the chances of having a heart attack, stroke or organ failure. A normal diastolic blood pressure is normally between 60 to 80 mmHg. When your blood pressure reaches 80 to 89 mmHg, you need to start paying attention to it more closely. These numbers indicate that you have pre-hypertension. If you do not manage your blood pressure now, you can develop malignant hypertension when your blood pressure tops 140. If you have malignant hypertension, you may suffer from symptoms like lightheadedness, nausea or headaches. Your diastolic blood pressure can change during the day though, so it is a good idea to check your blood pressure several times during the day to get a working average. There are some factors that can change your blood pressure like your posture or using nicotine. Your level of tension or exercising can also change your blood pressure. If you have a family history of hypertension or your parents suffer from hypertension, you are more likely to develop this problem. As you get older, your chances of developing hypertension increase. 90 percent of the people who develop hypertension are older. Women who are above the age of 55 are more likely to develop this than younger women. Men have the same increase in risk after age 45. Because of changes in the average diet and lifestyle, there are more young people developing hypertension now than before. Boys are more likely to develop this condition than girls. There are several different lifestyle factors that can increase your chances of having a high diastolic blood pressure. If you eat a lot of salt or potassium, it can change your blood pressure. Too little potassium or too much salt can cause hypertension. Smoking or drinking alcohol can also cause high blood pressure. If you have a sedentary lifestyle, rarely exercise or are overweight, you can develop hypertension. Stress can also temporarily raise your blood pressure levels. About one third of the people who have hypertension are overweight. If an adult is overweight, they have twice the risk of developing this condition. Children and teenagers who are overweight are more likely to have hypertension when they become an adult. An estimated 40 percent of African American adults end up having high blood pressure, and they are more likely to develop this at a younger age than Caucasians. Once this condition develops, it increases the risks of dying from heart failure, kidney failure, strokes or heart attacks. Certain medications may cause your blood pressure to rise temporarily. If you already have high blood pressure, these medications can make your condition worse. Oral contraceptives, corticosteroids and cold medicine that include decongestants can all raise your blood pressure. In addition, non-steroidal anti-inflammatory drugs such as aspirin, ibuprofen and naproxen can also raise your blood pressure. Sleep apnea is when your breathing stops while you are asleep. Many patients who have hypertension also have sleep apnea. This may be partly due to both conditions being linked to obesity, but there are some studies that show people with a normal weight also have an increased chances of developing the other condition if they have one of the conditions. Medical problems like diabetes, coarctation of the aorta, kidney disease and endocrine problems can increase your chances of having high blood pressure. There are several ways to manage hypertension and pre-hypertension. Your doctor will most likely start by recommending lifestyle changes like quitting smoking, losing weight, exercising 30 minutes a day and eating a healthy diet. They may recommend lowering your salt intake and decreasing your alcohol intake. Medications may also be prescribed to help with your hypertension. Diuretics may be used to flush out excess sodium and reduce your water retention. You ma also be prescribed ACE inhibitors, beta blockers, angiotensin II receptor blockers, renin inhibitors or calcium channel blockers. If you have high diastolic blood pressure, talk to your doctor to figure out the best course of treatment for your condition.